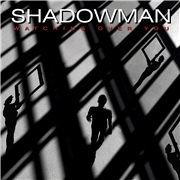 Shadowman debuted in 2004 with “Land of the Living”. Good ole British rock, embellished by the featured musicians; Steve Overland (FM), Steve Morris (ex EXPORT, ex GARTH ROCKET AND THE MOONSHINERS, HEARTLAND), plus the rhythm section of ex THUNDER personnel Chris Childs on bass and Harry James on drums. Sure there are elements of both FM and HEARTLAND, but you can do much worse. This is their fourth release since their inception, so they have passed the worst obstacles. But is the spark still there? This is not metal in any sense of the word. SHADOWMAN offers rather soft hard rock, well-executed but a tad overused as a genre. Opener “Across the Universe” would not attract my attention over a new episode of the Midsomer Murders. But it is a fine example of Brit rock with a seasoned cast, unlike the new series of the aforementioned whodunit. “Renegades” gets my motor revved up in a different way. The arrangement feels more ballsy and the lyrics caught my attention. Something about the lion part of the songs feels aged. There is the typical “Are You Ready”, a worn title, and the quite flat AOR “Suzanne”, which is too slick for me. I believe they perform their best in songs like the title track (of cause! ), “Waiting for a Miracle” and “Party Is Over”. Steve´s voice is still there, the routine shines through, and it sure is mature craftsmanship. But I lack some spark and grit, not to mention more hooks in the songs. This band has potential, which is only partially uncovered here.